Several cities in China have announced new rules for ride-sharing services that critics say may put the companies out of business. China's ride-sharing industry has been growing fast in recent years. The largest service there is Didi Chuxing. Uber, the American-based service, was Didi's main competitor until August, when it signed a deal to sell its Chinese operations to Didi. The deal is worth about $35 billion. China officially legalized car-sharing services in July. At that time, the Ministry of Transport established rules for such services. Those rules are set to take effect in November. Now, local governments in a number of Chinese cities have begun proposing their own rules. The proposals would set restrictions on the kinds of vehicles that can be used and who can drive them. The main requirement is that drivers of ride-sharing services and their vehicles be registered. In big cities like Beijing and Shanghai, this means drivers will need to have a permanent household registration. In other cities, such as Shenzhen and Hangzhou, drivers will be required to have a temporary home. In addition, the registered vehicles would have to be sedan models with larger-than-average space inside. Didi criticized the local rules in a recent statement. The company said they would force "the vast majority" of its drivers and cars off the road. "Millions of online ride-sharing drivers may be about to lose their jobs and paychecks, which would mean millions of families may lose an important income source," the statement said, according to The Wall Street Journal. All in all, the local restrictions would be a lot like those for taxi drivers. Zhao Zhanling is a researcher at the Intellectual Property Center of China University of Political Science and Law. 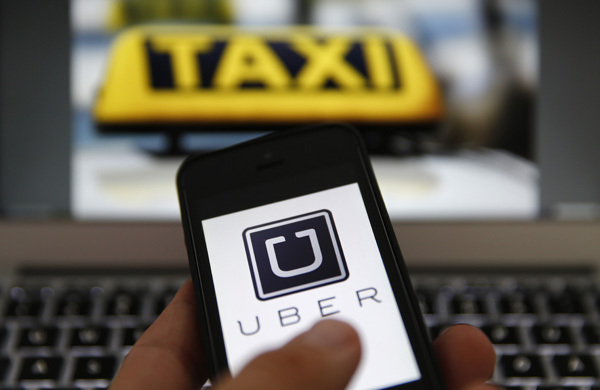 He told VOA the new rules could make all the country's ride-sharing services fail. He said the vehicle size requirements alone could put 80 to 90 percent of drivers out of business. According to Didi, less than 10,000 of its 410,000 drivers in Shanghai would meet the permanent household requirement. One Uber driver told VOA the way the new laws are set up will make it "impossible for me to stay in business." The driver's hometown is near Beijing, in Hebei province. He now works in the Chinese capital during the day and drives for Uber at night. Zhao Zhanling called the permanent household requirement "unconstitutional" and "in violation of the nation's employment policy." Didi has said ride-sharing services are still new "technological creations" that need to be nurtured. The company called on Chinese officials to "give local and non-local residence-holders equal rights to work." It said this will be the only way to provide citizens a more convenient, effective and free transportation system. This is in violation of her civil rights. Household registration system consisted of 2 aspects: household registration and management. International sanctions were beginning to take effect. 1.At that time, the Ministry of Transport established rules for such services. 2.Several cities in China have announced new rules for ride-sharing services that critics say may put the companies out of business. This is going to put them out of business. Thousands of firms could go out of business.